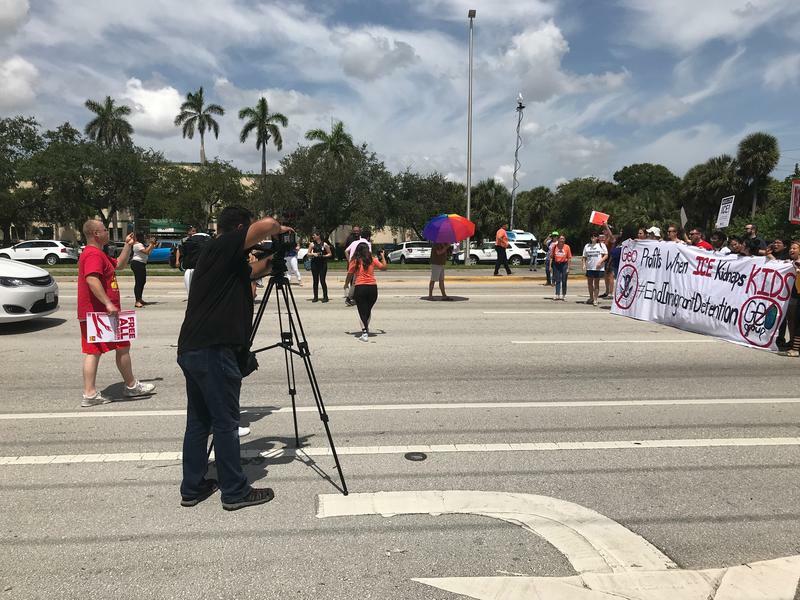 Dozens of activists and undocumented immigrants protested against the federal government's immigration policies on Thursday. Protestors held flyers and banners including one that showed immigration officials taking a baby away from its mother. The Broward County Sherriff's Office threatened to arrest some of the protestors after they blocked traffic for several minutes. 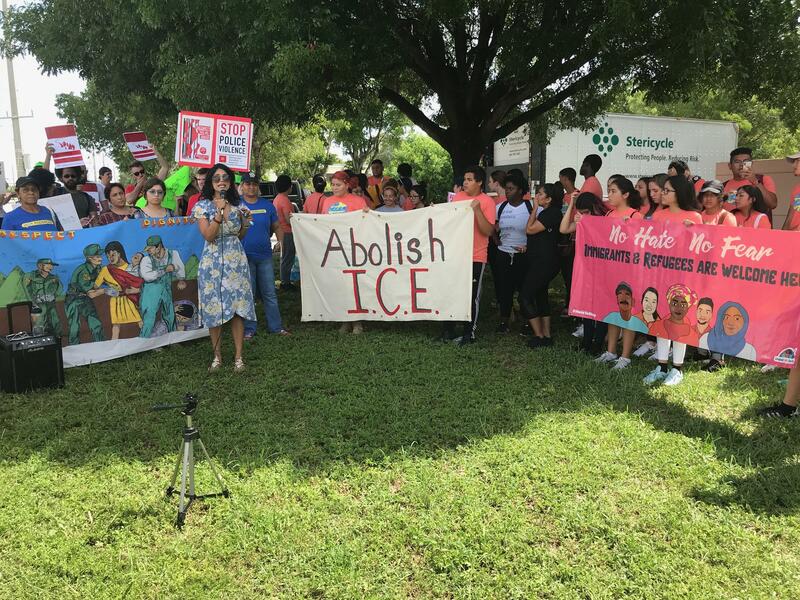 "There are alternatives to detention," said Melissa Taveras, an event organizer with the Florida Immigrant Coalition. 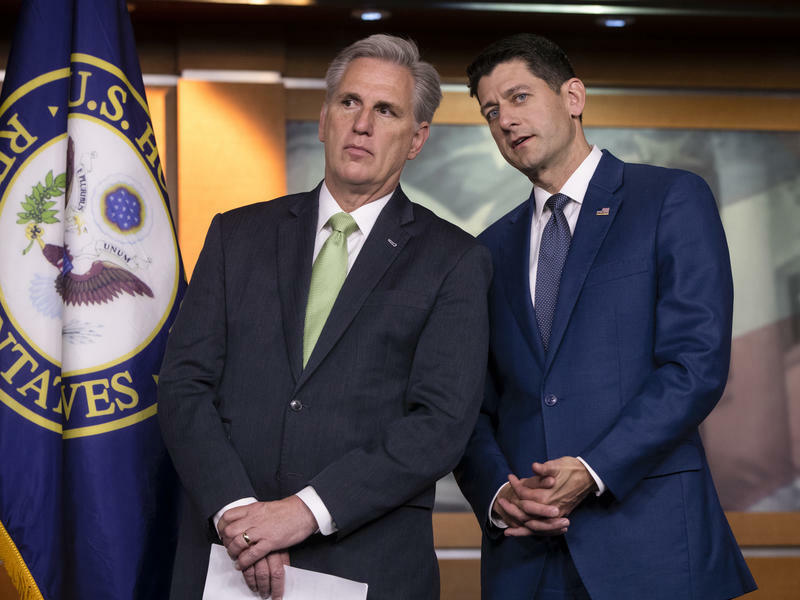 She said the government should instead use electronic ankle bracelets to monitor undocumented immigrants and she condemned private companies that profit off detaining migrants. She added that most undocumented immigrants are not criminals, but are just trying to escape poverty and violence in their home countries. In a statement in response to the rally, The Geo Group spokesman Pablo Paez said the company does not advocate for or against immigration enforcement and detention policies. He added that The Geo Group does not operate any detention facilities that house unaccompanied minors. At one point during the rally, protestors walked to the middle of a nearby two-lane street, blocking traffic for several minutes. They returned to the sidewalk after Broward County Sheriff officers threatened to arrest them. The protest was inspired by the former Trump administration policy of separating families who have crossed the southern U.S. border. 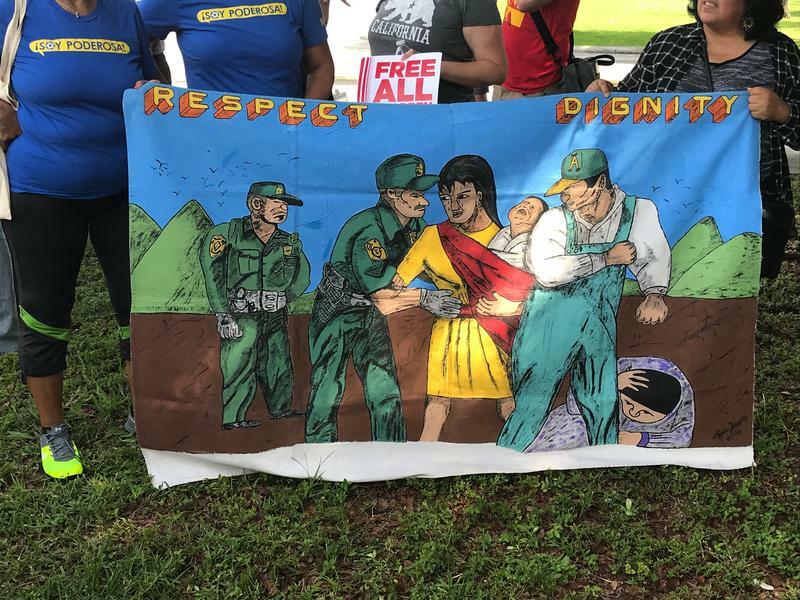 Some activists held a painted banner showing immigration officials taking a baby away from its mother. 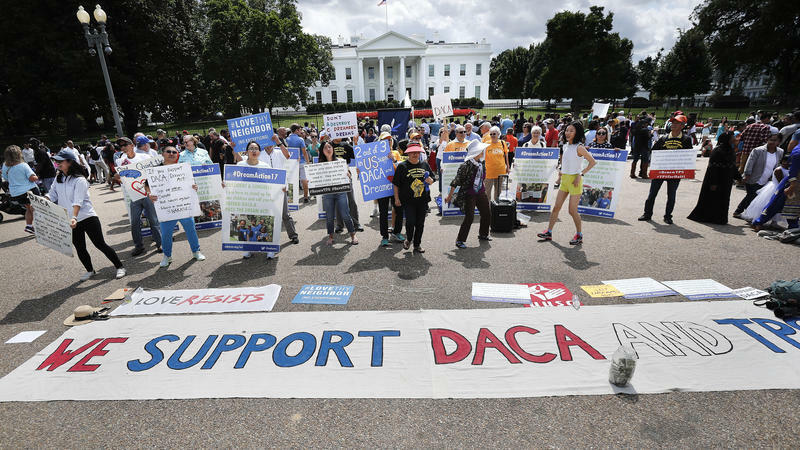 Ricardo Campos was one of the protestors and is a beneficiary of Deferred Action for Childhood Arrivals, DACA, the program that protects undocumented immigrants who came to the U.S. as children from deportation. He said the detention facilities were especially threatening to him and his family. "My parents could be the next persons right there in the Broward Transitional Center," he said. "Our communities belong free." One day after reversing his administration's practice of separating immigrant families, President Trump is insisting his zero tolerance policy for illegal border crossings must remain in effect.